The Arab spring started in Tunisia in late 2010, when a self-immolation of a street vendor in a provincial town of Sidi Bouzid sparked mass anti-government protests. Unable to control the crowds, the then President Zine El Abidine Ben Ali was forced to flee the country in January 2011 after 23 years in power. Over the next months, Ben Ali’s downfall inspired similar uprisings across the Middle East. Echoes of the Arab spring were heard in Egypt, Libya, Algeria, and Morocco. The people of these countries, to a certain extent, succeeded in their quest to see the dictators removed but just to be replaced by another dictator in another form. 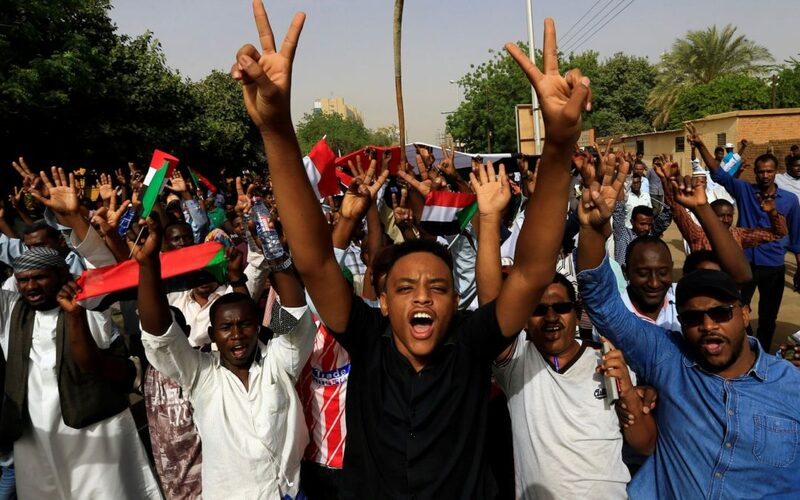 The revolt, which has spread from Khartoum to all cities of Sudan’s 18 provinces, is led by disgruntled young professionals from the classes that were long tolerant of Mr Bashir’s iron-fisted rule. In the wake of the overthrow of President Bashir, the young professionals have since instructed the people to remain on the streets. They are refusing to allow the military to take power for the next two years before elections are held. The African Union is again silent on what is going on in Sudan. Perhaps they are waiting to hear from their masters from Europe and the USA first. Of late, the trend in Africa has been to allow the military people to take power when one dictator falls only to be replaced by another dictator disguised as a democrat. When will the African Union ever be on the side of the people? Why does the AU turn a blind eye to such kind of behavior from its member states? Are we going to see Sudan’s military being sanctioned by the AU? According to AU resolutions, the military is not allowed to take power in a coup. It seems like from Cape Town to Cairo, the ruling elite on our continent are a cabal that protect each other. The people on the continent have been abandoned and are on their own. With people like General Abdul Fattar el-Sisi in at the helm of the AU, we really can’t expect much from the AU. Instead, he can only influence his colleagues to read from his script. What happened in Egypt is today being replicated in Algeria and Sudan. The people of Algeria and Sudan must stand firm and refuse the imposition of recycled dictators and fight for their rights to choose and remove leaders. All what the people want is food, jobs, decent housing, education and quality healthcare and nothing less. They want their human rights honoured and respected so that they may live with dignity. Dr. Mustafa Mheta of the Africa Desk at the Media Review Network.